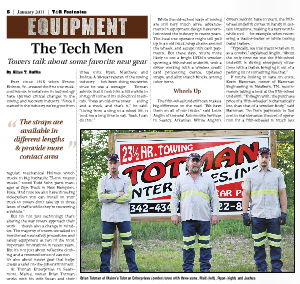 Totman’s was featured in an article in the industry publication “Towing & Recovery Footnotes” in the January 2011 edition! An article written by Allan T. Duffin discusses how innovations in towing equipment and technology help us do our job more efficiently. You can read the story online at http://www.flashedition.com/publication/?i=56063 – go to page 6 for the story. If you can’t read it online drop us an email at susan@totmans.com and we’ll get you a copy. It's Sunday 6:57 AM — Sorry, Auto Repair is closed, but we're Always Open for towing!